Thus says the LORD to his anointed, to Cyrus, whose right hand I have grasped to subdue nations before him and strip kings of their robes, to open doors before him-- and the gates shall not be closed: I will go before you and level the mountains, I will break in pieces the doors of bronze and cut through the bars of iron, I will give you the treasures of darkness and riches hidden in secret places, so that you may know that it is I, the LORD, the God of Israel, who call you by your name. For the sake of my servant Jacob, and Israel my chosen, I call you by your name, I surname you, though you do not know me. I am the LORD, and there is no other; besides me there is no god. I arm you, though you do not know me, so that they may know, from the rising of the sun and from the west, that there is no one besides me; I am the LORD, and there is no other. 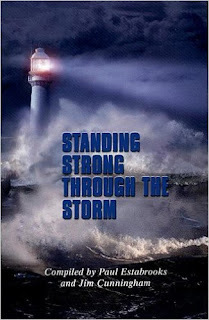 I form light and create darkness, I make weal and create woe; I the LORD do all these things. "Whose head is this, and whose title?" They answered, "The emperor's." Then [Jesus] said to them, "Give therefore to the emperor the things that are the emperor's, and to God the things that are God's." "Living In The Tension Of Two Kingdoms"
The air had to be thick with tension! Jesus had entered Jerusalem, riding on a donkey amidst the shouts of hosannas. He had gone to the temple and drove out the moneychangers and merchants, to the dismay of the chief priests and elders. No longer could his ministry be relegated to some distant phenomenon that was taking place in the small towns and countryside in the region of Galilee. Jesus had brought his teachings and ministry into the center of Israel’s faith. As a result, into the tension that already existed between Israel and their occupation by Rome, a polarization was quickly developing among the people in regard to Jesus. Although many of the common people viewed Jesus as a prophet, others, especially those who held positions of power and authority, viewed Jesus’ teachings and actions as subversive and inflammatory. So, the Pharisees plotted to entrap Jesus. And the trap could not have been better staged. According to our lesson, Matthew tells us that the Pharisees took with them some Herodians. The Pharisees and the Herodians were on different sides of the issue that they planned to put before Jesus. The Pharisees were devout Jews who strove to live by the law of Moses, and as a result of their piety of faith, they were critical of the Roman oppression, especially to the idea of paying taxes to support Caesar, since they considered him to be evil. After all, Caesar considered himself to be divine, and what pious Jew could bring himself to support through their taxes such a blasphemer. The Herodians, on the other hand, were supporters of Herod, and tended to support Rome from whom Herod gained his authority. They were a group of Jews who had compromised their faith and piety, in order to win favors from the governing forces. Thus, the Herodians were in favor of paying taxes to Rome. So these two groups, representing both sides in the tension that existed between Rome and Israel, come to confront Jesus. And how they tried to sweeten Jesus up for the kill. Just listen to their hypocrisy! “Teacher, we know that you are sincere, and teach the way of God in accordance with truth, and show deference to no one; for you do not regard people with partiality.” Although all of this is true, coming from the mouths of those who set out to entrap Jesus, it’s enough to make you sick. Then came the question. “Is it lawful to pay taxes to the emperor, or not?” The trap had been set. If Jesus answered “No,” the Herodians, who enjoyed the benefit of Roman rule, would report him to the authorities as a traitor or seditionist. If Jesus answered “Yes,” the Pharisees would have ample fuel to discredit him among the people as a Roman sympathizer, a person unfaithful to Israel. But Jesus saw through their ploy to entrap him, and their sickening sweet attempt at flattery. And Jesus had the wisdom to escape their trap. He asked to see the coin used to pay the tax. Jesus is handed a denarius, a small silver coin of Roman issue. This coin “bore a portrait of the reigning emperor crowned with a laurel wreath, the sign of divinity. It also bore the inscription, ‘Tiberius Caesar, majestic son of the majestic God, and High Priest.’” End quote. Can you see why the question of paying taxes to Rome was such a contentious issue at that time? 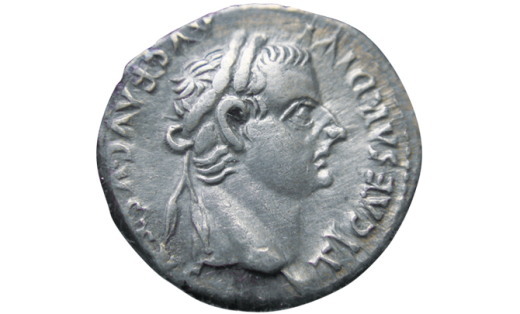 Even the coin that was used to pay the tax, not only bore the image of Caesar, it also claimed him to be divine. For the Pharisees, and for the early Christians, it was viewed as paying homage to Caesar, akin to acknowledging him as divine – a denial of their faith. Of course, the Herodians, who may not have acknowledged Caesar to be divine, overlooked the inscription, in favor of the political benefits that they received from Rome. Even though they may have professed to be children of Israel, they adapted to the ways of the world, and in the process, compromised their faith. In other words, Jesus turned the table on both sides of the issue, and challenged both the Pharisees and the Herodians – without answering the question. 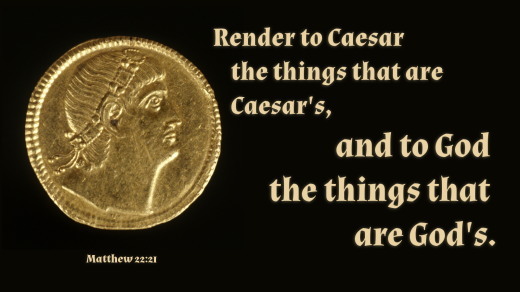 For the Pharisees, who found the inscription on the coin that Rome had issued to be so offensive to their faith, he simply said, give it back to Caesar. And to the Herodians, who had compromised their faith in order to gain political favor and power, he said, give to God the things that belong to God. The first part of his answer tells us that even as people of faith, who are heirs of the kingdom of God through our baptism into Christ’s death and resurrection, we have a responsibility to return to Caesar the things that are Caesars. In other words, as long as we are citizens of this world, we have a responsibility to the governing authorities of our nation, our state, our county and our community. And I believe that Jesus means more than simply paying our taxes, in support of the various benefits that result from living as a citizen of our country. Governments also ask for our allegiance. Governments have the right to establish laws to regulate our life as we live in community with one another, and to have the authority to enforce them. They may even, in the time of war, ask us to come to the defense of our country by serving in the armed forces. On the other hand, as disciples of Christ, who have been redeemed by his death and resurrection, we must also acknowledge that we are children of God’s kingdom, to which our ultimate allegiance belongs. After all, God is the source of our very existence, to whom we owe our very life. If we are to “give to God the things that are God’s,” then we can only conclude that we owe God, and God alone our worship and praise for his gift of creation, for our life and all that sustains it, and his grace that has redeemed us and claimed us as his own. Thus, Jesus’ response to the question that was meant to entrap him, traps us all! We live as citizens of two kingdoms – an earthly kingdom, to which we owe certain allegiances, and a heavenly kingdom, to which we owe everything. Jesus’ response doesn’t really settle the dispute between the Herodians and the Pharisees, any more than it settles the conflict that each of us encounters, as we try to live out our faith today. Over my life span, I have seen our government move away from the moral fabric supported by the Judeo-Christian faith. And I have seen, even within the church, this struggle, this tension between our allegiance to the state, and our allegiance to God, being manifest. And although the issue of homosexual marriage is hot topic at the moment, it is just one of the issues. The fact is, as Christians, we are in the midst of this struggle, this tension of living in two kingdoms. And since Jesus did not answer the question, neither will I. But I pray that God’s Spirit might lead us all to first come to acknowledge that to God belongs our first allegiance, and upon this, the Spirit might lead us to take our faith seriously. For upon this, the future of the church rests. Let us pray: Dear Heavenly Father, you sent your Son into our world to reveal your will for our lives and to redeem us from sin and death. Through the power of your Holy Spirit, help us to embrace Jesus in faith, that we might truly be his disciples, and acknowledge him as our Lord and Savior. 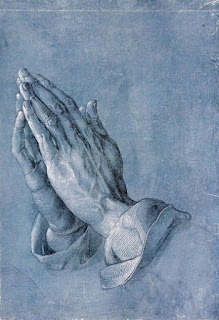 Above all, guide us in our lives, as we struggle to live with the tension of belonging to two kingdoms. This we ask in Christ’s holy name. Amen. New Revised Standard Version Bible, copyright 1989, Division of Christian Education of the National Council of the Churches of Christ in the United States of America. Used by permission. All rights reserved. 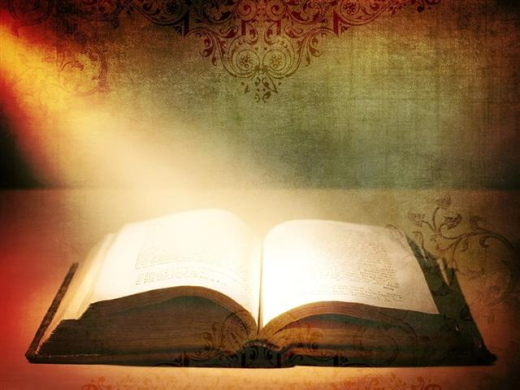 The New Revised Standard Version Bible may be quoted and/or reprinted up to and inclusive of five hundred (500) verses without express written permission of the publisher, provided the verses quoted do not amount to a complete book of the Bible or account for fifty percent (50%) of the total work in which they are quoted. Sermon shared by Rev. Ronald Harbaugh on Oct 18, 2008. Ustedes son la sal de la tierra. Pero si la sal se vuelve insípida, ¿cómo recobrará su sabor? Ya no sirve para nada. La frase «la sal de la tierra» siempre me pareció un tanto extraña. Incluso, cuando llegué a los caminos de Dios, no entendía por qué en su Palabra se decía que somos la sal de la tierra. Más tarde, Dios mismo me dio la manera más sencilla y fácil de entenderla y practicarla. La sal es un ingrediente clave para darle sabor a la comida, pero tiene un especial cuidado: Debe tener un término ideal para sazonar y no para salar. ¿Quién resiste la comida salada? La Palabra dice que en los tiempos de Jesús la sal venía del Mar Muerto y estaba llena de impurezas, de modo que perdía algo de su sabor. Es posible que digas: «¿Qué tiene que ver esto con mi vida espiritual?». Pues bien, Dios nos compara con la sal en la tierra porque tenemos esa preciosa labor de darles sabor con su Palabra a los que no conocen a Jesús. Por otro lado, a nosotros nos sucede lo mismo que a la sal con impurezas que se utilizaba en Israel. Por eso necesitamos ser puros para darles ejemplo a otros. Además, si nos enfriamos en la Palabra y nos volvemos insípidos, ¿cómo daremos sabor? 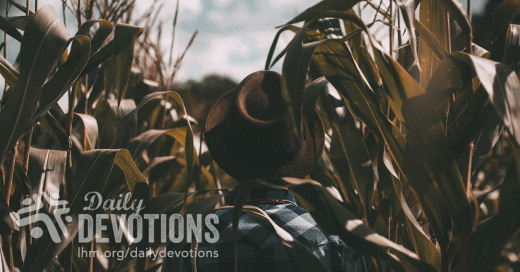 LHM Daily Devotion - October 22, 2017 "The Provision Specialty"
(The Lord said) "Arise, go to Zarephath, which belongs to Sidon, and dwell there. Behold, I have commanded a widow there to feed you." Times are tough. No one even knows where their next meal is coming from. These were the circumstances facing Elijah, but he didn't lose hope. Elijah knew God, and he knew God's voice when he heard it: "Go to Zarephath. I have instructed a widow there to feed you." So Elijah set off to find the woman and invite himself to dinner. It soon turned out God was going to have to perform a minor miracle if Elijah was going to be fed that night. The widow let him know that she didn't have a single piece of bread (see 1 Kings 17:12). But Elijah wasn't put off. He delivered God's Word: "There will always be plenty of flour and oil left in your containers until the time when the Lord sends rain and the crops grow again!" (see 1 Kings 17:14). Sure enough, God fulfilled His promise to provide. (1) When you need it, God's provision is in place. (2) The people God uses might surprise you. (3) Our bad time is God's opportune moment. This lady was all set to have her last meal on earth. When God's work has a need, He looks for someone with a seed, stretches their faith, and both the giver and God's work are blessed. You see, one of God's names is "Jehovah-jireh," which means "God will provide." He will provide, but He'll often wait till we are totally dependent on Him, before we see how He will do His work. THE PRAYER: Lord, guide my steps in every action and especially when I am lost and afraid. In this troubled world, help me put You first in my life and follow the narrow path that leads to You. This I ask in Jesus' Name. Amen. Biography of Author: Today's international devotion was written by Michel Matar. He has experienced life to the full, trying everything from drugs and alcohol to the occult. He is a well-known musician with several CDs to his credit. In 1989, he was touched by the love and forgiveness of Jesus. When he started reading the Word of God on a daily basis, his addiction and perverse lifestyle were over. He has not turned back. After his conversion, he studied LHM's Bible Correspondence Courses (BCC) and became a close friend of Middle East Lutheran Ministry (MELM). With life, music and talents, Matar serves the Lord. He volunteers his time and talent to help us in recording and editing radio programs. He is married to Nuna, and they have served the Lord together since their conversion. They have five lovely children and live in Brummana, Lebanon. Established in Beirut in 1950, LHM-Lebanon is a Christian mass media organization whose mission is to proclaim the Gospel to the Arabic-speaking world. This ministry center shares the message of God's peace and reconciliation in the Middle East through different media tools such as radio programs, which are produced weekly in the Arabic language. Programs deal with social and religious issues, providing help and spiritual guidance for listeners who are predominantly youth and young adults. 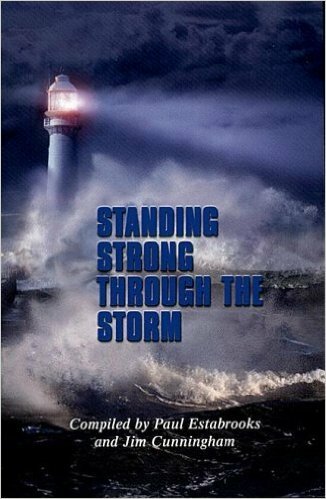 Bible Correspondence Courses (BCC), topical booklets, text messages, social media, DVDs, and spiritual hymns strengthen the faith of students, encouraging them to walk closer with Jesus. Holistic assistance is provided to many Muslim families and Bedouin communities through vacation Bible schools and programs that deliver clothing and school supplies to children. Emergency care is also given to numerous Syrian and Iraqi families who have come to Lebanon from their countries, as they flee various conflicts in their homelands.